What would you do if you discovered your life was one big lie? Halen discovers there’s more to the reason sparks want to release under her fingertips when she gets angry and the reason she blacks out at school. Her and her move have moved back to Rockaway Beach, but maybe being back where her dad drowned in the ocean is a bad idea. Tage is a girl at school who befriends Halen. She is not that fond of her, but one night proves her friendship. One night Halen and Tage are given unique gifts for their birthdays. They each get a bracelet that they are told to wear and must not take off. A boy comes to bring Halen her homework from school, but after the flash of a knife and a run for their lives Tage instructs Halen to go into the ocean. Halen doesn’t like the ocean after she witnessed her dad drown. Little does she know once she goes into the ocean to get away from the boy chasing them that there is a different realm. In getting away from the boy with the knife Halen discovers a beautiful place and her connection to it. It’s a realm filled with unique creatures, berries that make you trip out and under water caves that hold the mentally unstable. There Halen discovers the connection she has with a boy she’s been sketching for a long time. The big question is why has she been sketching him and why does she feels drawn to this boy whose a stranger? This fantasy book talks about many topics ranging from family, friends, loyalty, destiny, hate, forgiveness, love and of course magick. This book talks about the challenges that come with being lied to by loved ones and the choice to either forgive and move forward, or hold on to bitterness and let it rot you. Which would you. choose? I am not into fantasy as I’ve shared before, but this book was hard to put down. It took till halfway through to get into the story, but once I did I was hooked. The author Tiffany Daune was kind enough to include a sneak peek into book 2, which now makes me antsy to want to find out what happens to Halen. If you enjoy fantasy, mermaids, sirens, magical realms and drama go get a copy of this gorgeous book. The cover is what screamed, “Pick me!” I was provided this book for free from Oftomes Publishing in exchange for my honest review. I did ask Tiffany, the author one question. “Like Halen, when I was younger I suppressed my abilities and desires to make other people happy. It took a long time to love myself enough to follow my dreams. Halen too, must accept her powers and find the courage to fulfill her destiny. 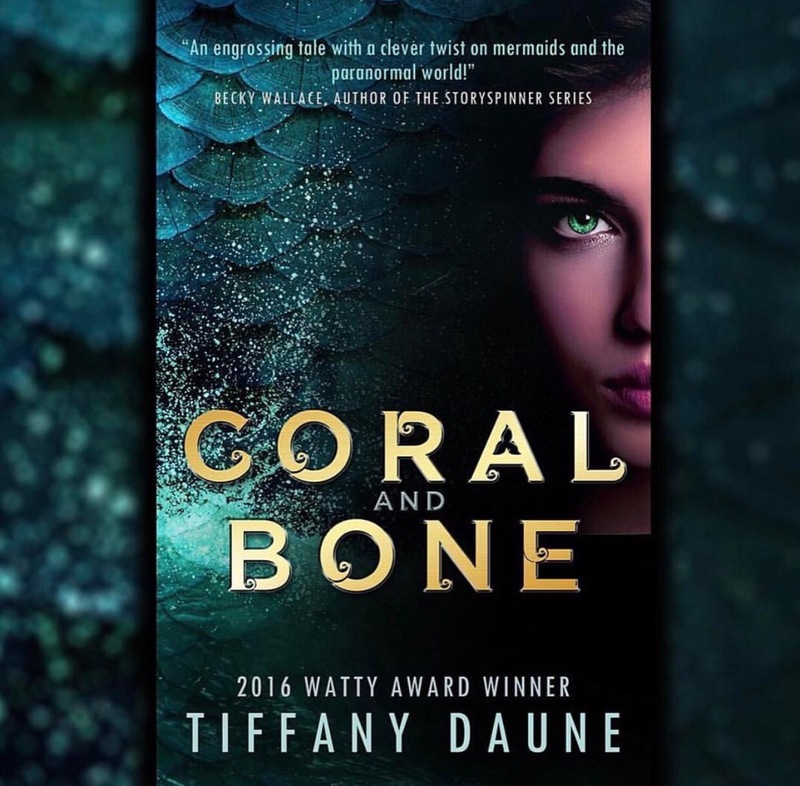 If you have any questions for Tiffany after finishing Coral and Bone just ask her via Twitter. She’s a very gracious author who responds quickly and personally.